Today my love of cooking takes centre stage on this wine blog. Pairing a wine with food is not overly tricky. When people tell you that the first rule of pairing is “that there are no rules” don’t believe them. If the food is spicy then the wine needs a touch of sweetness. 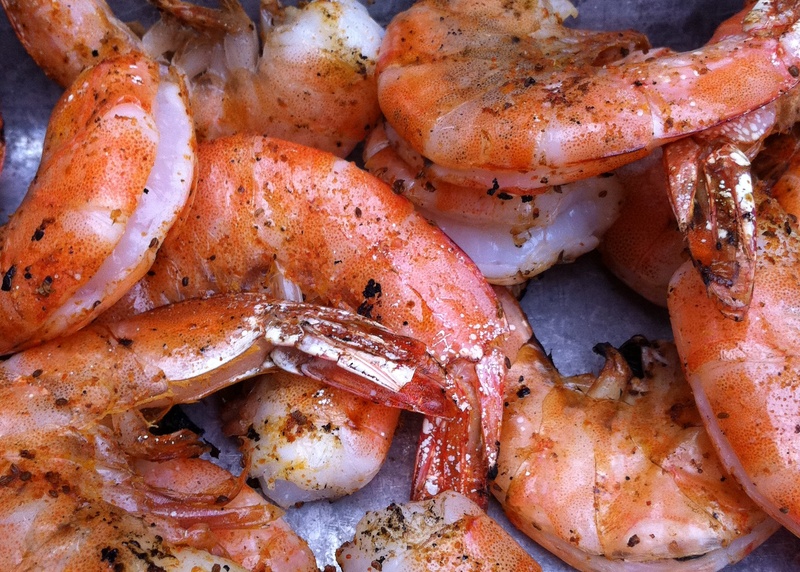 For dinner I paired white wine from the Loire with the grilled shrimp. My cousin Ed lives in Calgary where the wine flows like beer – you can buy it in the grocery store. You can even buy “Champagne” at Costco. Ed purchased such “wine”. I did not approve and have included our correspondance on the matter. Furthermore, I think we should “boo” people and companies a lot more than we do. Don’t just save it for sporting events. See if you can boo somebody this week. 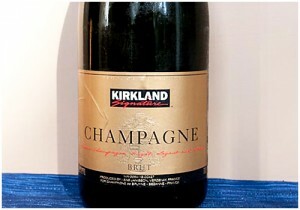 Ed – Bought a few bottles of (Kirkland Champagne) today. Sometimes you have to forget the label and drink what tastes good! (also got an $11 Segura Viudas Cava for a side by side). Me – Please don’t buy Kirkland – if you encourage that type of behaviour then 7-11, Mac’s Milk, and Esso will be making their own brand as well. I don’t care if some “sell-out” French guy did make it and then got the buyers drunk over a two hour tour of his estate – it’s just plain wrong. Ed – ha ha ha ha – wine snobbery at its best! nicely done. Poor misguided cousin Ed. I think I might need to correspond with him more in the future. Ready for this? Australian Rock and Roll Hall of Fame band AC/DC is releasing their own wine. Release of Highway to Hell Cabernet Sauvignon and Back in Black Shiraz will be available beginning this weekend in Australia. I can’t decide whether this is another sad sell-out or great fun. I do know that I want a bottle for myself. If anybody is going to the land down under and can bring me back a bottle please be gentle with it and don’t Shake it All Night Long. What do you think? Sell out or fantastic? 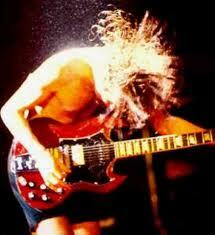 THEY’VE sold millions of albums as one of the greatest all-time bands and now AC/DC hope to do a similar trade in wine. The Rock and Roll Hall of Fame inductees have teamed up with Australian winery Warburn Estate for a national release of AC/DC The Wine. Sourced from wine regions in the Barossa and Coonawarra, varieties include Back in Black Shiraz, Highway to Hell Cabernet Sauvignon and You Shook Me All Night Long Moscato. AC/DC The Wine will be available exclusively from August 18 in Dan Murphy’s, BWS and Woolworths Liquor stores. “We wanted to make sure that AC/DC’s hometown fan base could have easy access to their rock icons’ wines,” said Steve Donohue, general manager of buying for the Woolworths Liquor Group. “For us it was a no-brainer to make it available nationally, no-one misses out. I just came back from my time in North-Western Ontario battling large Walleye for dining rights and hunting for exquisite chanterelle mushrooms. That leaves very little time for hunting down red wine. Fortunately it found me. My Uncle Ron came through with a sassy little homemade Cabernet Sauvignon that had blueberries in the batch. 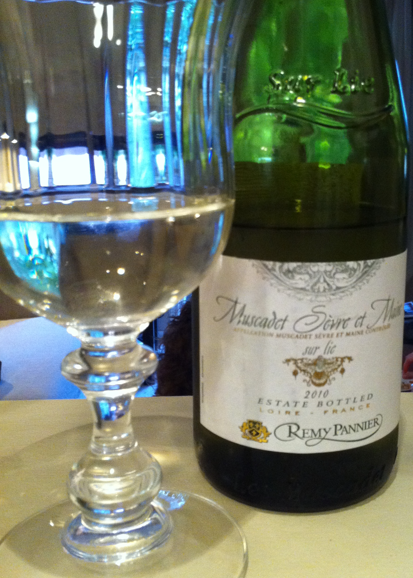 I was skeptical – being a self-professed wine snob – but it was delicious. My rule of homemade wine is to always try it when offered – you don’t have to have a second glass if it’s not good. This was so good that I plan to buy a share of the next batch being made. Well done Uncle Ron. My brother came up with the clever idea of calling it a Northern Meritage. 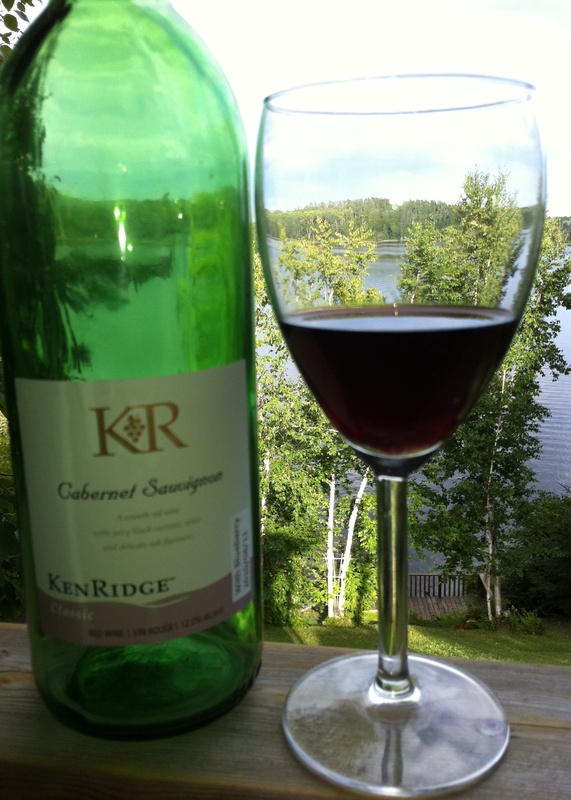 Meritage being the name given to blended wines that usually contain Cabernet Sauvignon, Cab Franc and Merlot. In this case the Cab Franc and Merlot were substituted by the blueberries. Hopefully a new batch is coming my way so that I can bring a bottle to a party near you.